I discovered Lisa Eldridge (professional makeup artist) had a YouTube channel and it made my day! You may remember her amazing work from 10 years younger. She's the global creative director of No7, consultant cosmetic expert for Pure Beauty and creator of a brand new cosmetics line for sale in specialist Shiseido beauty shops throughout Japan. She has worked with countless celebrities, magazines and designers. I'm so ecstatic about it and wanted to let you all know. Her approach to make up is very fresh, and we can all benefit from her advice. Her videos on primers, foundation, concealer and morning after make up is outstanding. Subscribe to Lisa on YouTube and follow her on Twitter @Lisa_Eldridge. Check her website for more information. My cameras usb cable went walkabouts, but has been safely found, :) Hooray! Here is the look I was rocking on Monday. I flicked out the ends of my hair with my GHD IV styler and opted for a dewy subtle make up look. Face - Bourjois 10hr Sleep effect foundation. Cheeks - Nars 'Casino' to contour, and Body shop 'Cool Dusk' blusher trio. Lips - Maybelline Ambre rose & L'oreal Cappuccino lipliner. 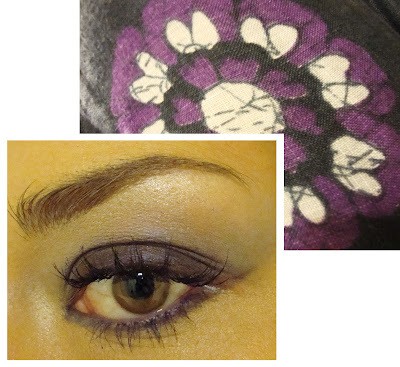 Eyes - Mac 'Naked Lunch' e/s all over lid with a light dusting of 'Romp' in the crease. 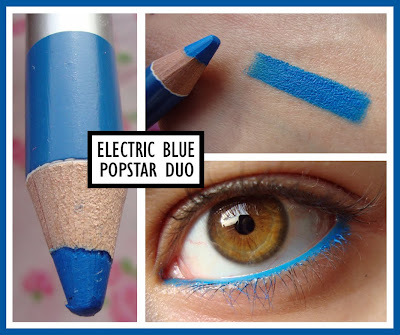 UD 24/7 Liner in 'Zero' on upper lash line. Benefit Eye Bright on waterline & L'oreal Voluminous mascara. On Sunday I used my GHD IV styler again this time to create loose flicked out curls. The look was relaxed. Very relaxed. I wore baggy boyfriend jeans with my white plimsolls. It's nice to be casual and not so 'done up' all the time. What other looks do you do with your straighteners? And, do you predominantly dress casual or 'girly'? What is fashion? A trend, fad or craze? For me, fashion is more than that, it's about identifying your personal style and sticking to it. I will not wear something because I am told it's 'IN'. In fact, I will try my best to avoid it to stop me from looking like a clone. However, it's inevitable that designers have an influence on what we wear, even when buying from the high st or a charity shop as everything is trickled down. The trends that are deemed hot for the season include cut out dresses, denim, leather, wearing underwear as outerwear, pastels, all white, ruffles, digital prints and lace. 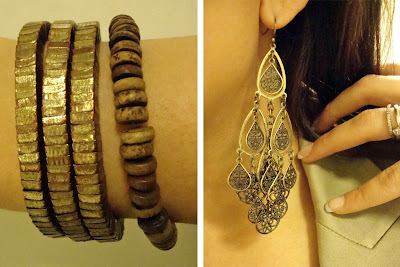 I have been on Vogue identifying certain trends that stand out for me. Here's what I have compiled. 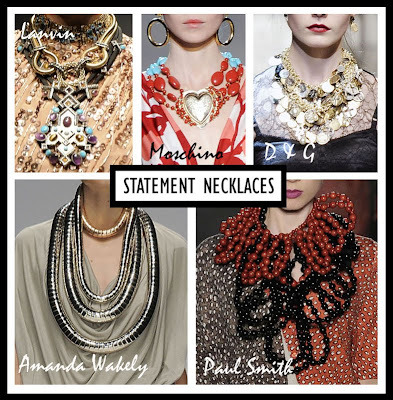 STATEMENT NECKLACES are always hot, they can transform ANY outfit and are guaranteed showstoppers! Paul Smith opted for maximum impact whilst Dolce & Gabbana opted for a 'goddess gypsy' look. 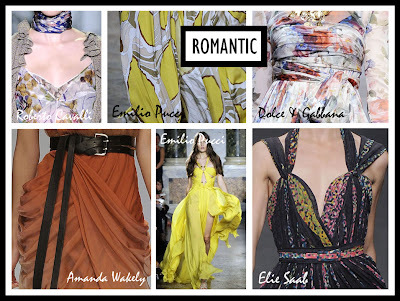 ROMANTIC always ensures femininity and is perfect for long summer nights. Silk, chiffon and floral prints are key. Emilio Pucci didn't disappoint with fabulous prints and floaty dresses. TIP - Why not toughen up your outfit with a belt as demonstrated by Amanda Wakely. ROCHAS had beautiful intricate belts made with flowers. DIY - Why not take your favourite waist belt and add a massive flower headband or broach to create your own to suit you. 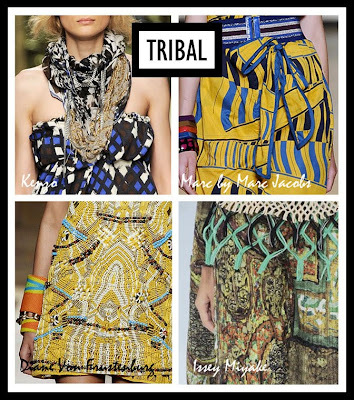 TRIBAL is effortlessly cool, I love bold prints and Marc by Marc Jacobs got it spot on. Topshop usually have great prints in the summer, but they sell out quick. DIY - Why not buy your own printed fabric and create a simple top that nobody else has. 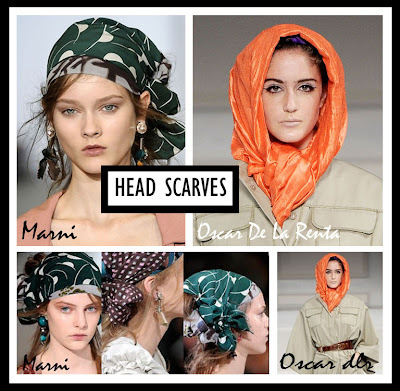 HEAD SCARVES are a quick way to update your outfit especially if you are having a bad hair day. Keeping your outfit simple and wearing a bright scarf as demonstrated by Oscar De La Renta is sure to be an eye opener and great for hijab wearers. You can also roll scarves up in pretty knots to create a more interesting hair style as demonstrated by Marni. SHOES, you can NEVER have too many! Wedges give height, great posture and are comfortable, Bottega Veneta had a gorgeous pair. Burberry and Vera Wang opted for ankle tie platforms which are equally as gorgeous. DIY - Why not personalise a pair of your shoes by attaching or threading a beaded necklace or chain to the strap inspired by Lanvin. MY ADVICE: Don't be a follower, be a leader. Interpret trends to suit your body shape, complexion and age. Be original! All images from Vogue.co.uk, compiled using Photoshop. Products I am using right now! It's been a while and thought I would let you in on what I'm using right now as I always love reading this tag! 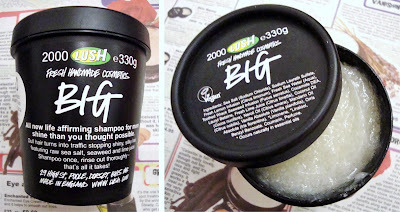 Shampoo: Lush 'Big' and 'Curly Wurly'. Styling products: Avon dry ends serum (Old favourite), Tresseme Heat protector and 24hr body finishing spray. 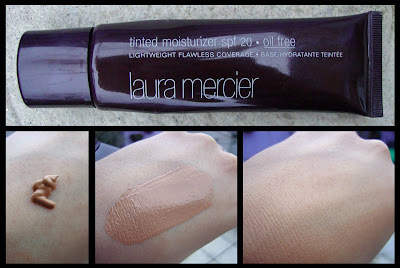 Foundation: Laura Mercier tinted moisturiser or Bourjois 10hr sleep effect foundation used with Clinique foundation brush or Everyday mineral flat top kabuki brush. 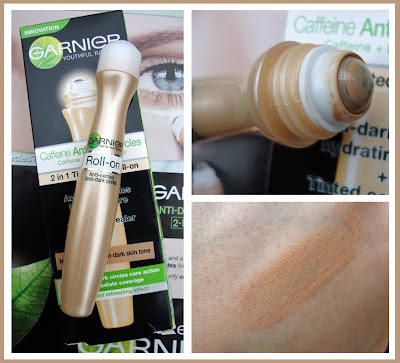 Concealer: Mac studiofinish and moisturecover. Blush: Nars Sin, Angelica & Gina. Highlighter: Nars Sparkly pressed powder in 'Gold Rush'. Eyeshadows: Mac Romp, Femme Fi, Vex, Vellum and Naked Lunch. Lipstick: Body Shop #46, Mac Fresh Brew & Barry M 147 peachy pink. I have left it a while before reviewing this as I constantly changed my mind about it. The consistency of this oil free tinted moisturiser is very thick, not quite what I am used to, you have to work very quickly as it dries quite fast making it difficult to blend. 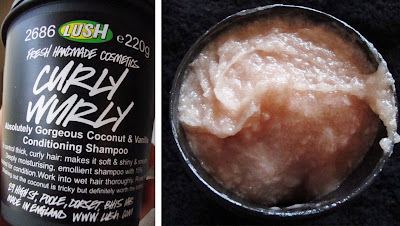 I have only ever used my fingers to apply this as recommended on the tube, using a brush would waste a lot of product. 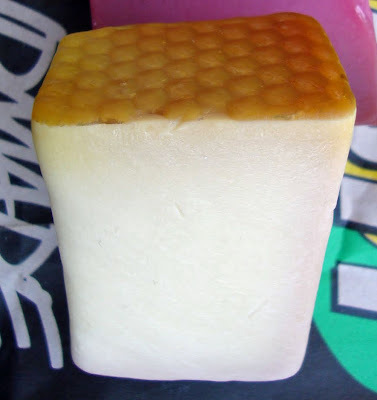 It dries rather matte, not powdery at all, just a lovely natural finish and feels quite light on the skin. It doesn't need to be set with powder and still lasts all day (A light dusting of powder wouldn't do any harm on the T Zone.) 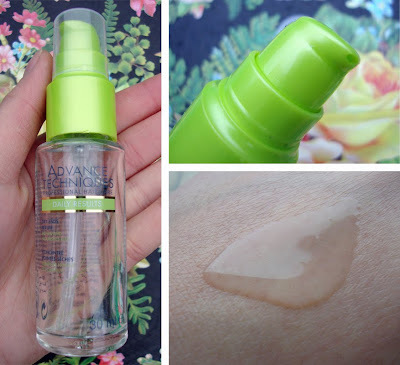 This tinted moisturiser actually gives quite good coverage similar to a light coverage foundation, it hasn't clogged my pores and I have not experienced any breakouts. Overall, I am happy with it but I'm not in love with it. One reason why I kept changing my mind about it was to do with the colour. At times it's a perfect match and sometimes it feels like it's too red depending on the lighting or whether I have applied fake tan or not. 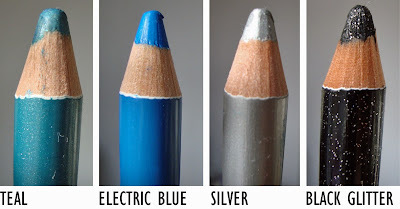 The other reason is because I initially found it difficult to blend. 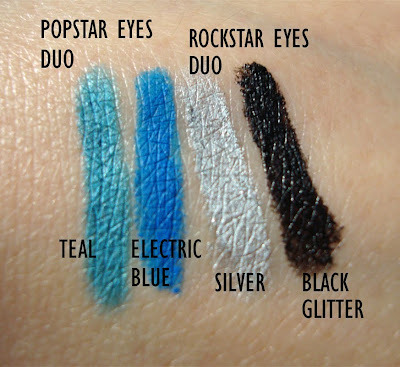 Price: £32.00 (40ml) Available in 5 shades.